Rated as the leading vacation destination on the globe by Lonely Planet, Condé Nast Travelers Awards, and other travel organizations, New Zealand is a nation rich in unparalleled beauty. The country is comprised of the South Island and the North Island, with temperate and sub-tropical climates respectively. While New Zealand is technically a South Pacific nation, its location is far south in the Southern Hemisphere, giving it a much different character than the islands situated closer to the equator. Snow-capped mountains, rolling green pastures dotted with sheep, rugged shores, bustling cities, and small rural towns set New Zealand apart. 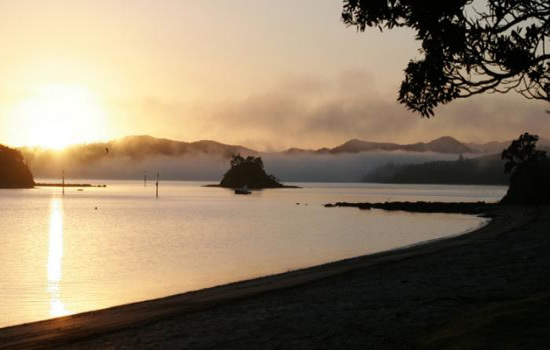 On the east side of the North Island is the sailing paradise known as the Bay of Islands, a 50-mile stretch of coastline sheltered by more than 80 islands with plentiful anchorages, quaint towns, and beautiful beaches. A Bay of Islands yacht charter is an inspiring adventure for the entire family. NEW ZEALAND BAREBOAT CHARTERS - The ultimate in privacy & freedom, bareboat rentals are for groups having their own qualified skipper. Hiring a captain and or hostess/cook always remains an option. For a list of our available Bareboat yachts, please Click Here. Bay of Islands sailing vacation features a number of entertaining activities. Sailing in largely sheltered waters amid a variety of scenic islands teeming with wildlife is just one of them. Dolphins, blue penguins, North Island robins, snapper, kingfish, and other marine and land animals abound. Some locations are premier sites for scuba diving on rocky bottoms, in caves, and around shipwrecks. Snorkeling and swimming are excellent. Pristine white-sand beaches, walking trails to admire stunning sea views or explore historic sites, the delights of laid-back resorts, and browsing in the shops and dining in the restaurants of small harbor towns are just a few of the pleasures a Bay of Islands yacht charter has to offer. Base facilities: Restaurant, motels, gift shops, dive shops, post office, banks, no cellular phones, car parking, washing machines, showers. A Bay of Islands sailing itinerary highlights cruising along a 50-mile coastline and encompasses some of the most scenic waters in all of New Zealand. The area is appropriately named. It’s literally a bay of islands, more than 80 of them situated in sheltered waters with plenty of beautiful and protected anchorages an easy sail away. Below you will find links to additional information we are certain you will find useful pertaining to your yacht charter vacation out of New Zealand. 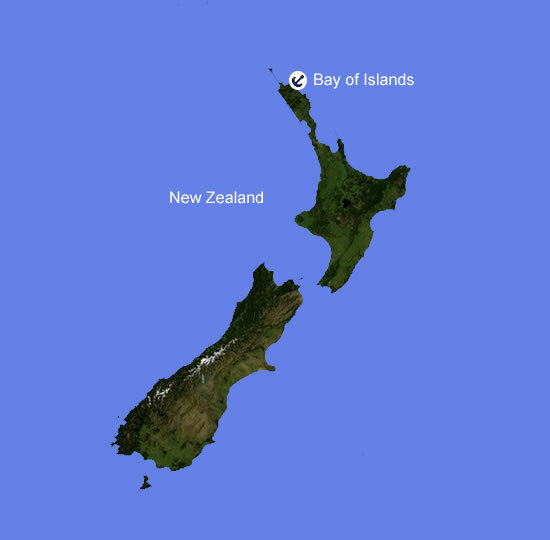 Practical Travel Info: For useful tourism related information for New Zealand.